FULL FLOOR EXTERIOR TO 20 'OF BARCELONA. HUTB-017731. 3 bedroom apartment totally exterior with a large terrace. It consists of a main room with double bed, TV, air conditioning and heating. With exit to a very sunny balcony. Single room with 90 bed and heating. 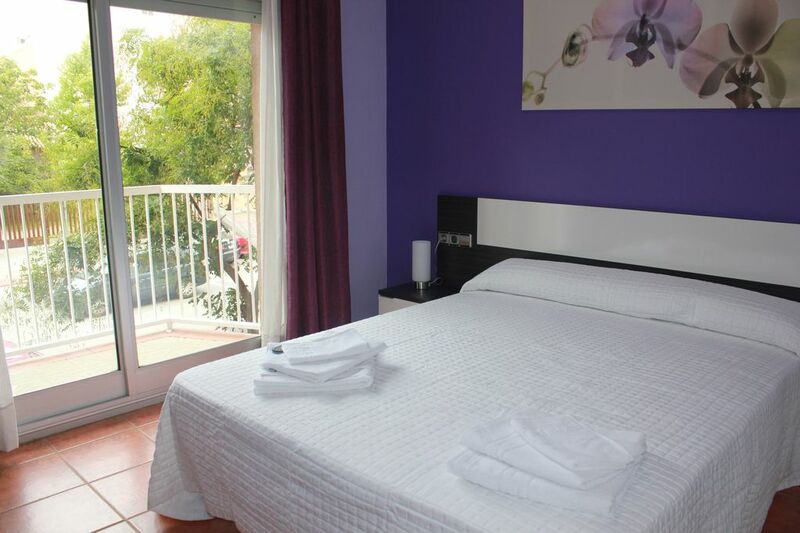 Room with 2 beds of 90 very sunny, air conditioning, heating and exit to a large terrace. Full bathroom with corner spa bath for 2 people. Full dining room with sofa and 47 'TV. Full kitchen with utensils, pans and pots to cook. Washer and dryer room provided with soap and fabric softener. Also ironing board and corresponding iron. Large free parking area around the apartment. Restaurants and tapas bars near the apartment and large supermarket. Seul bemol, bruit des voisins et de leurs chiens trop présent, difficile si on est pas habitué au bruit.